Eighty-four-year old Margaret Siriol Colley is the niece of the famous journalist Gareth Jones, who revealed the truth about the Ukrainian genocide that was organized by Stalin and his henchmen. Jones is mentioned in the article "A Tale of Two Journalists" by James Mace, the distinguished American researcher of the Holodomor in Ukraine. Unfortunately, history is often cruel to those who challenge brutality and totalitarianism. The Welsh journalist was mur dered in Mongolia under mysterious circumstances, shortly after his 30th birthday. Dr. Colley agreed to tell Ukrainian read ers about her relative, the never-ending pain that is experi enced when people refuse to believe the most reliable facts, and about her spiritual bond with Ukraine. For several years Dr. Colley’s grandmother lived in Yuzivka (also called Hughesivka, now Donetsk), where she tutored the grandchil dren of the 19th-century Welsh industrialist John Hughes. It was her stories that prompted Gareth Jones to visit Ukraine. In the following exclusive interview, Dr. Colley cites directly from some of Gareth Jones’s articles in order to convince the reader that the genocide was a reality, not a fabrication. The British government is still reluctant to recognize the Ukrainian famine as an act of genocide. Even worse, not all Ukrainians are aware of the true causes of the 1933 famine. I hope this conversation about the destiny of a great journal ist will at last fill in some of the blanks. The fate of Gareth Jones is linked to the most tragic pages of Ukrainian history. Dr. Colley, can you describe your childhood? "My childhood years rushed by in London, but I am proud of the fact that my forefathers were Welsh. My mother, father, and husband were all born in Wales. During World War Two, I was evacuated to Canada, where I graduated with a medical degree. I have four sons and eight grandchildren. After my husband’s death in 1973 I took up scu ba diving and swam with snakes in the South China Sea and sea lions off the Galapagos Islands. "I am too old to recall everything from my childhood. But pho tographs are a help. So I will try to tell you about my well-known rel ative Gareth Jones. Behind these photos lies an immense tragedy, as they come from the time when there was a mass-scale famine, terror, and genocide in Ukraine." I know that your grandmother lived for a few years in Yuzivka, now Donetsk. "The city of Yuzivka is a veritable legend, but even in 1889, when Annie Gwen Jones, the mother of Gareth Richard Vaughan Jones, lived there, it was a wonderful town with a population of 50,000 peo ple. Today it is a major city; in fact, it is the Donetsk regional center. Annie tutored the children of the Welshman John Hughes for three years. It is her stories that prompted Gareth to visit the country where his mother had once lived. "Gareth carved out a brilliant academic career for himself: he learned the Russian language to visit Ukraine and the Soviet Union, in fact, Russia, as this geopolitical space was called in the West. It was one of the five languages that he spoke fluently. His first visit took place in 1930, when he made a pilgrimage to Yuzivka. He was 25 at the time, and he had just been appointed international affairs advisor to Prime Minister David Lloyd George. His letter from Berlin revealed a distressful situa tion in Ukraine: ‘The winter is going to be one of the greatest woes as well as famine. The government here is one of the cruelest possible in the world. Peasants hate communists. Thousands and thousands of Russia’s best men have been deported to Siberia and the uninhabited island of Solovky. So one of the reasons why I had to leave Yuzivka was that, of all that was there, I could only eat a piece of bread — and that is all that I had to eat in seven hours. Many Russians are too weak to work.’"
This was not Gareth’s only trip to Ukraine? "Gareth visited Ukraine a second time after completing a six-week tour of the Soviet Union together with Jack Heinz, and they stocked up on canned beans well before returning to Ukraine. Gareth made a series of notes in his diary on the basis of which Jack wrote the book Experiences in Russia — 1931: A Diary . It was published by the Alton Press in Pittsburgh in 1932. It was written anonymously by Jack Heinz with a foreword by G. R. V. Jones. They visited a new dam on the Dnipro River. A peasant said to them, "The communists deported all the kulaks from here." A man in a cap came up to them and said, "We are starving. Look at what they gave us — nothing! Nothing! How can we live on nothing? But we cannot say anything to them because they will deport us. We are all suffering very much, brothers!" "In the autumn of 1932, after spending a year in New York City, Gareth started working again for Lloyd George, and the news of the famine in Ukraine was spreading throughout London. On Sept. 14, 1932, Gareth wrote to his former employer, a well-known entrepreneur based in New York: "The Soviet government is experiencing the most terrible crisis since 1921. The hardest times have come: millions will have to experience famine this winter. There is famine in Ukraine today. Farming has suffered a crushing defeat; farmers are now leaving their households." 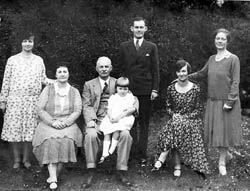 "In January 1933, after helping Lloyd George write his War Memoirs , Gareth left Europe. He was supposed to travel to Germany and report from there. He arrived on the very day Hitler was appointed chancellor, on February 22, and that same day he flew to Frankfurt. By March 6 Gareth, who was by then in Moscow, was getting ready to leave for Ukraine. He decided to get food supplies from torgsins (state- run hard-currency stores that operated in the USSR between 1931 and 1936 — Ed. ). His traveling companions were peasants, and the journey was very difficult. "After getting off the train in Ukraine, Gareth walked down the railway track, discussing the current situation with the peasants who had been on the train with him. He jotted down everything that he saw in small diaries that I have kept to this day. All the peasants told him the same stories: "There’s no bread. We haven’t eaten bread for more than five months. Many are dying. There are no potatoes left in the first village." They all said: "Cattle are dying. We have been feeding the whole world, but now we have nothing to eat. Can we sow when we have few horses left? How will we be able to work in the fields when we are weak from want of food? A village ran out of bread two months ago, there are no potatoes, either. All we have to eat is beet roots." A woman said: "We are waiting for death," "In the south 20 percent of the population has died of hunger," said a young worker, "and in some parts 50 percent. They’re murdering us. Cattle are dying catastrophically. We had 200 head of cattle and now there are just six horses and very few cows left." "Bread queues are terrible, 7,000 people in each. They get up at three or four in the morning to grab a piece of bread the next morning at seven. It’s very cold. A lot of people have died of starvation." City dwellers, too, had no bread. When he was leaving Kharkiv, Gareth saw some homeless boys who were dying of typhus. This shocked him." What other questions did Gareth Jones broach in his notes? Do they perhaps contain some interesting reminiscences of how the policy of Ukrainization was being phased out? "In his diaries Gareth recalls the end of Ukrainization and the Ukrainian national question: "Russification and the slowing-down of Ukrainization is last month’s new edict. Skrypnyk, the education commissar, was for Ukrainian rights. He was accused of Ukrainization and dismissed in early March. The name of Shumsky was also mentioned." "I know that Mykola Skrypnyk was sent to Ukraine after the October Revolution and he was People’s Commissar of Education from 1925, when Ukraine was an autonomous part of the Bolshevik country. But in January 1933 Stalin dispatched his satrap Pavel Postyshev to Ukraine, after which Skrypnyk was accused of Ukrainization. About 100,000 people were purged from the CP(B)U at the time. Skrypnyk committed suicide in July 1933. "Gareth left Moscow in March 1933 and went to visit his friend Reinhard Haeferkorn in Danzig. Now back in a civilized country, he wrote to his parents: "The situation in Russia is absolutely awful. Famine is practically everywhere. Millions are dying of starvation. I hung around Ukraine for several days, and there was no bread, children had pain in the stomach, all the horse and cows had died, and people were also dying of hunger. Terror has reached an unheard-of scale. They ordered the arrest of six engineers, two of which I knew very well." "After arriving in Berlin on March 29, 1933, Gareth prepared a press release that was published in The New York Evening Post and the British press, including The Manchester Guardian , and headlined: "Famine Gripped Russia, Millions Dying." On March 31 Walter Duranty wrote an outrageous article entitled "Russians are hungry but not starving,’ to which Gareth responded in The New York Times : "Wherever I was in Russian villages, I heard the moan, "No bread, we are dying." And it was the famine that claimed millions of human lives."" "In March six British engineers who were working for Metro-Vickers were accused of espionage and imprisoned in Lubianka Prison. A few Moscow-based journalists were forced to write that Gareth’s information was a lie. Later, more false accusations rained down when Maxim Litvinov sent a cable to the Soviet ambassador Ivan Maisky in London. 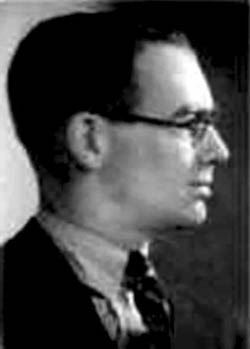 Gareth was accused of espionage and blacklisted by the Soviet secret police. "After returning to Britain, Gareth wrote approximately 20 articles about the famine in Ukraine and the Soviet Union. The Daily Express published a very revealing article on what he had seen in Ukraine: "In one of the peasant’s cottages in which I stayed we slept nine in the room. It was pitiful to see that two out of the three children had swollen stomachs. All there was to eat in the hut was a very dirty watery soup, with a slice or two of potato, which all the family — and in the family I included myself — ate from a common bowl with wooden spoons." "Fear of death loomed over the cottage, for they had not enough potatoes to last until the next crop. When I shared my white bread and butter and cheese one of the peasant women said, "Now I have eaten such wonderful things I can die happy." I set forth again further towards the south and heard the villagers say, "We are waiting for death." "Many also said, "It is terrible here and many are dying, but further south it is much worse. Go down to the Poltava region and you will see hundreds of empty cottages. In a village of three hundred huts only about a hundred will have people living in them, for the others will have died or have fled, but mainly died." What happened to his journalistic career? "After April 20 there was not a single new article by Gareth in the British press. One of his last articles was entitled "Goodbye Russia." He knew he would never return to the country that he had visited so often and which his mother had loved so much. I am convinced, although I have no hard evidence, that the British government forced Gareth to keep silent. The question of Nazism and the appointment of Adolf Hitler as chancellor of Germany, the fear of a likely attack by Japan on China — all this diverted attention from the Ukraine famine. Lloyd George never contacted Gareth after the young journalist raised the question of his infatuation with Stalin. "Later, Gareth wrote many articles in the US, which were published in Randolph Hearst’s newspapers. Much of what he wrote was, naturally, a repetition of what he had already said in the British press. In May 1933 he wrote an article for The Boston Sunday Advertiser : "The famine is man-made. It is the result of the Soviet policy of abolishing the private farm and. replacing it by large collective farms, where the land and cattle were owned in common." In January 1935 The New York American published some of Gareth’s notes of his conversations with peasants: "The Communists came and seized our land, they stole our cattle and they tried to make us work like serfs in a farm where nearly everything was owned in common" — the eyes of the group of Ukrainian farmers flashed with anger as they spoke to me — "and do you know what they did to those who resisted? They shot them ruthlessly." "I was listening to another famine-stricken village further down the icy railroad track which I was tramping and the story I now heard was one of real warfare in the villages. "The peasants told me how in each village the group of the hardest-working men — the kulaks they called them — had been captured and their land, livestock and houses confiscated, and they themselves herded into cattle trucks and sent for a thousand or two thousand miles or more with almost no food on a journey to the forests of the north where they were to cut timber as political prisoners." "In one village which was inhabited by German colonists — and what a spotlessly clean and well-kept place it was! — they told me trainloads had left the district packed full of wailing farmers and their families." Dr. Colley, did any of Gareth’s colleagues try to defend him when he was being hounded and his character was being assassinated? "Those who knew Gareth well were aware that what he was writing was the truth. Gareth remembers the German consul in Kharkiv and his wife telling him that what he had written in his articles was a somewhat rosy picture because the situation was in fact much worse. From March onwards, it was simply impossible to stay in Kharkiv. The springtime campaign was a disaster. The peasants had already been eating grain and seeds. No one believed Molotov’s warning. Many villages had died out. The consul also said that a terrible lot had befallen the German colonists: 25 percent of them had died of starvation and epidemics, and even more would die by the end of August. According to the German consul, there would be an epidemic of death in August because the peasants would begin killing one another, including their children, in order to survive. "Later, on August 28, 1933, Dr. Schiller wrote in The Western Mail that what Gareth had told the world was true. This was also confirmed by the Cardinal Archbishop of Vienna in his appeal to the international community: "...yes, millions men and women have in the last few months perished of hunger in Soviet Russia. Hundreds of tragic letters from the famine areas of the Soviet Union, especially from the Ukraine and North Caucasus, point to this, and eye-witnesses about whose authority there can be no doubt have depicted terrible details of the tragedy which is in progress in Russia... The Englishman Gareth Jones also confirms this." "You know, I often think about my grandmother: how hard it would have been for her to know that if she had not left Ukraine, she would have had to endure the famine. I keep thinking of my Uncle Gareth and I know that both of them wanted me to call out to them. Uncle Gareth’s life had a tragic end: he had just turned 30 when he was kidnapped in Mongolia for an 8,000-pound ransom. He was investigating the question of Japan’s attack on China and likely clashes with the Soviet Union in Siberia. Gareth's death under mysterious circumstances was an immense tragedy not only for his family but also for the entire country that loved and respected him; it was also a tragedy for Wales, my homeland. Had he survived, he could have told the world the absolute truth about the Ukraine famine. His mother hid all his papers and then handed the archives over for me to deal with them. "Gareth would have said that the root cause of the famine was Stalin’s deliberate policy rather than crop failure." Have all Mr. Jones’s materials been made public? "In 1990 I was cleaning the house where Gareth’s 90-year-old sister was living, and I found his diaries, a packed suitcase, and some articles. I knew that these materials were extremely important for Holodomor researchers, so I made copies and posted them on the Web site www.garethjones.org. Then Morgan Williams found these documents. They became even more valuable after this. Some of them, particularly the ones about Stalin’s Five-Year Plans, collectivization, and industrialization, were published with the assistance of the German military attache. During the Great Depression, the Soviet Union was quite a huge supplier of various goods to the world market, so despite the famine, it continued to order the confiscation of everything possible from the peasants in order to earn major capital. In reality, if not for this policy, there would have been no famine in Ukraine because this fertile land could fully support itself with its harvests and state deliveries. The Holodomor was a deliberate and carefully-orchestrated action on the part of Stalin." I know that you are very proud of your origins. "Yes, Wales is a country with quite a dramatic history, which has faced pressure from England for more than a thousand years. Wales has managed to preserve its native language, and the nation is proud that it comes from this land. Foreigners still call our country England or Anglo-Saxony, like we in the West often use the word "Russia" to mean both Russia and Ukraine. This is a tribute to tradition, although in reality it is not so. There is the English nation and there is the Welsh nation, there are Ukrainians and there are Russians. In the 1920s and 30s, under Skrypnyk, Ukraine saw the renaissance of the Ukrainian language and culture but, ironically, this was the very reason why Skrypnyk posed the greatest threat to Stalin, who decided to liquidate him. Stalin organized a terror by means of famine, which resulted in the deaths of millions of Ukrainians. "I would also like to note that Donetsk was founded by a Welshman named John Hughes, so there is a close historical link between Wales and Ukraine. During the Second World War, Marshal Tymoshenko was a household name, and this heroic individual also had Welsh roots — his real name was Timothy Jenkins." Can you explain why the British government and MPs do not consider the Ukraine famine a planned act of genocide? Are there too few facts in Britain to confirm this? "The British government does not want to admit that the Ukrainian famine was an act of genocide because politicians are using distorted historical research findings, including those of Russian historians to whom Great Britain is listening, unfortunately. I wish Gareth were here. If he were still alive, British political scientists would have understood long ago that the Ukrainian famine was genocide of the Ukrainian people. There are few people in the world as courageous as Gareth. I think the situation will only change once the world media throws a spotlight on the history of the Holodomor, and the international community accepts and realizes that the Holodomor was Stalin’s handiwork. There should also be work done with individual Members of Parliament, who do not have adequate information. Unfortunately, Ukraine’s foreign ministry is not exerting enough efforts to this end. John Grogan, the chairman of the All-Party Parliamentary Ukraine Group, is conducting active explanatory work about why the famine occurred in Ukraine and what its root causes were. I believe in this person. We should work together on different levels — educational, cultural, and scholarly — so that all Britons — schoolchildren, students, politicians, businessmen, and MPs — will become aware of the criminal essence of the Holodomor." What is your view of Ukraine today? "In my opinion, Ukraine is a young state with a lot of problems, many of which were inherited. But I see Ukraine through the "glasses" of Gareth and my grandmother. As a nation, you had to live under Stalin, the dictatorship of the proletariat, and in the Russian Empire before that. In Russia, the peasants were used to seeing the tsar as God and calling him Holy Father. But there should be no fear now; you should move towards democracy. Democracy means freedom of thought and expression. I realize that it is difficult for a young nation to break free of the chains of dictatorship. I am sure that Ukraine will eventually triumph. "Western Ukraine was a European territory since time immemorial, but I would not like the west of Ukraine eventually to form a separate center that does not want to know anything about its long-suffering fellow Ukrainians in the east. Instead, the east should integrate with the west. What is needed is a "migration" of teachers, doctors, and engineers from eastern to western Ukraine in order to ensure the harmonious integration of all the country’s regions." The author extends his gratitude to Margaret Siriol Colley, who allowed him to cite directly from the materials in the Gareth Jones family archive. The main articles in which Gareth Jones calls the famine in Ukraine premeditated terror are: "Nine to a Room in the Slums of Russia," The Daily Express , April 6, 1933; The Boston Sunday Advertiser approximately May 13, 1933; The New York American / The Los Angeles Examiner , Jan. 14, 1935; and "Goodbye Russia," The Daily Express , April 11, 1933.